Radio host and gas tax repeal leader Carl DeMaio Monday announced his plans to challenge incumbent Duncan Hunter in the 50th Congressional District. DeMaio, a Republican who served four years on the San Diego City Council, pulled nomination papers for the seat Monday and has until Friday to collect the required 40 signatures to appear on the primary ballot, according to his campaign. Hunter is facing challengers from both parties amid a federal investigation into whether the five-term GOP incumbent misused campaign funds. 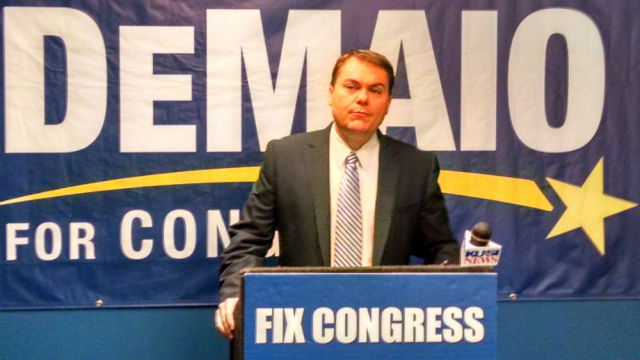 DeMaio joins a field that includes Democrats Patrick Malloy, Pierre Beauregard, Josh Butner and Ammar Campa-Najjar and Republicans Hunter, Shamus Sayed and Bill Wells. DeMaio is currently leading the campaign to repeal last year’s gas tax hike by ballot initiative. He lost a 2012 mayoral run to Bob Filner and lost a 2014 52nd Congressional District bid to incumbent Rep. Scott Peters.